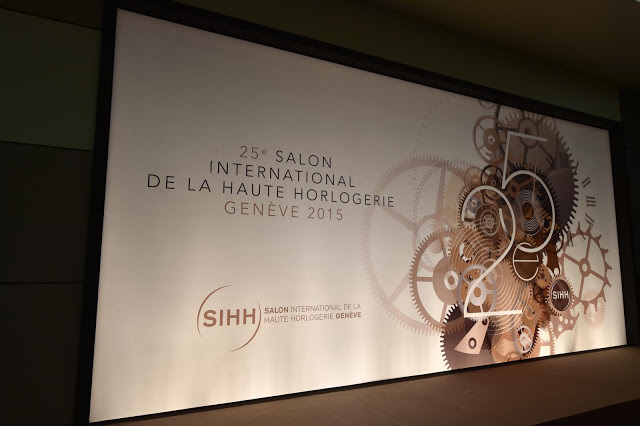 Nine independent watch brands will be part of SIHH 2016, the trade fair dedicated to haute horlogerie that takes place in January in Geneva. This brings the event full circle back to its origins in 1991. Rumours have swirled for some months now but it is finally official. Nine independent watchmakers, ranging from the avant-garde to the traditional, will exhibit at the Salon International de la Haute Horlogerie, the annual watchmaking fair in Geneva. Long dominated by brands of luxury conglomerate Richemont, the addition of these eight independents, amongst them MB&F, Urwerk and Voutilainen, adds texture to the event that takes place from January 18 to 22, 2016. Unlike Baselworld, its mass market compatriot that takes place in Basel, SIHH has always been an invitation-only event focused on mainstream brands. Greubel Forsey and Richard Mille joined the ranks of exhibiting brands in 2010, but SIHH is still widely seen as being a convergence of Richemont brands. Next year will see the addition of nine independent brands in an area titled Carré des Horlogers. The nine are: Christophe Claret De Bethune H. Moser & Cie. Hautlence HYT Laurent Ferrier MB&F Urwerk Voutilainen Together they replace Ralph Lauren Watch & Jewellery, which departs as it revamps its strategy under a newly appointed chief executive. The arrival of the notable nine brings a little of the magic that independent watchmakers have to the fair, a posh and formal affair with open bars and catered food. And it also helps strengthen the position of SIHH vis a vis Baselworld, since most independents at SIHH will likely show all their new products in Geneva. In some ways this represents a return to the origins of the event, which first happened in 1991. That year saw Gerald Genta and Daniel Roth as one of the five exhibitors (the others being Cartier, Piaget and Baume & Mercier). Franck Muller joined in 1992, and four years later Svend Andersen, Roger Dubuis, Paul Gerber and Jean Kazes were participants as well. A varying cast of independents continued to take part in the fair until 2003, when the sole independent left was Roger Dubuis (a brand that was in many ways the Richard Mille of its time). For visitors to the fair, primarily comprised of retailers, retailers and brand executives, these additions to the fair brings the convenience of being able to stay within the exhibition hall. In past years visiting independent brands required an excursion to the hotels along the lake.